This hotel was close to everything, with Cardiff Castle literally right down the road. Free breakfast was delicious and hot, and the staff was extremely friendly! Not the nicest in terms of accommodation, but everything else made up for it. Also, you get what you pay for, so really can’t complain. Likely would be back. Good hotel maybe in little need of a update, was clean in all areas, friendly polite staff. In amongst pubs and restaurants which could be little noisey for some. Only 5 min walk from train station which was a plus for us. All round a good stay. I loved it. It's right in the centre of the Cardiff, and the hotel has everything I needed. It was clean and warm, and the staffs were also very helpful. The breakfast was good too. I would stay again. Excellent location, old British ambience, charming staff, the warmth of a laid back establishment, Clean ; with prompt service. Everything A+ . Will stay here every time. Only problem is that the old building can't have a lift so better travel light. The staff are very helpful and friendly. Rooms are dated but clean. Unfortunately our room was very hot and unless you like listening to awful karaoke from the nearby bars, you can't open the windows. Beds not especially comfortable. It was however very good value, especially the breakfast, just don't expect a peaceful nights sleep. 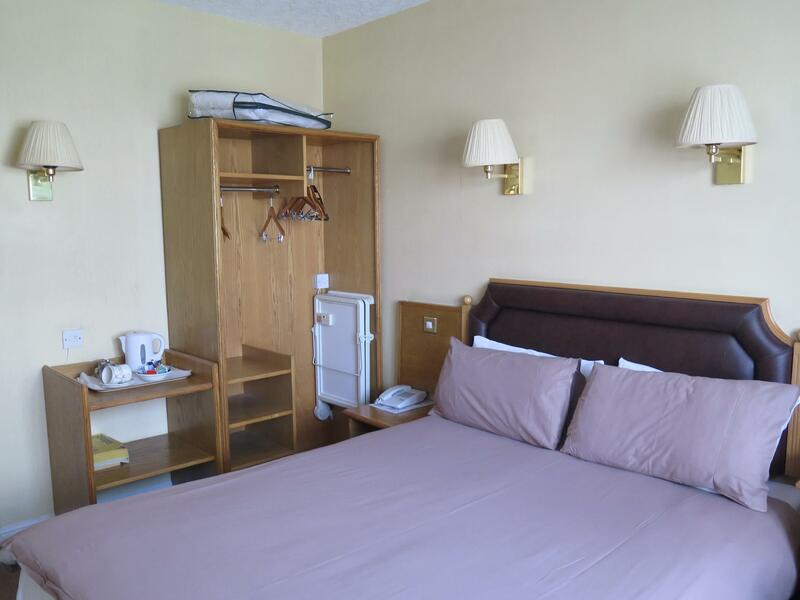 A cheap and cheerful hotel that offers excellent value for money in a central location in Cardiff. The shower was exceptionally good. Staff were noticeably friendly and helpful. I will definitely use it again. Great little hotel, right in the centre of cardiff. This place may not look much from outside, but I found it to be clean and tidy. My room was clean, with a comfy double bed. Big bathroom with tub and shower over. The staff were friendly, helpful and always availible. Numerous shops, pubs and places to eat in the same street. 5 mins walk to Cardiff Arms park or Motorpoint Arena. I can't comment of the food /breakfast as I met friends in Wetherspoons 2 mins down the road for breakfast. All in all I highly recommend. Best place to stay in the heart of Cardiff. Period! Great location the staff helpful ,Hotel clean breakfast ok .What more could you ask for .. The staff is very helpful and helped me take my luggage to my room. Excellent location with good transport links close to Cardiff Queen Street and Cardiff Central stations. 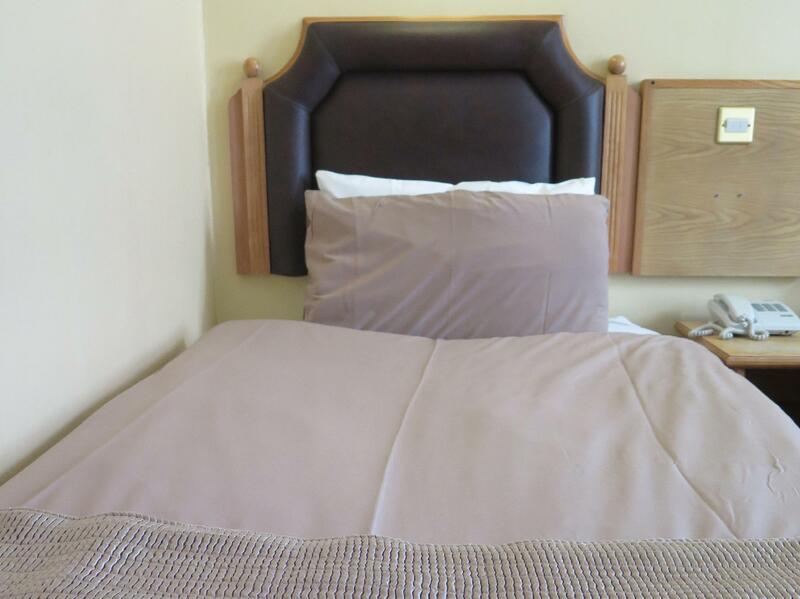 Friendly staff, rooms are a bit dated but very clean and have everything you need, the bed was comfortable. The bathroom was spotlessly clean and had a bath and shower. Extremely good value for money. Only negative is for those with mobility problems there is no lift and there are steep stairs. We stayed for 2 days, sat to Mon. Right in the centre!! We were here when Wales played the new Zealand so Cardiff was heaving, so there was a lot of street noise which was copeable. Beds were comfortable with extra pillows and food in the hotel was tasty and reasonably priced. Your very close to clubs and bars which was very loud the Saturday night, so hotel could probably do with upgrading the Windows to double glazing, but we did have a street side room so probably very quieter at the back. All in all though we would recommend this hotel as everything was on its doorstep, staff were friendly and helpful. Really really dated...plus broken look seat, hand rail coming off, bathroom blind pulley system snapping, poor accesibility for less abled people...HOWEVER...what a lovely bunch of people! Helpful and welcoming. Impressd with the breakfast...good old fashioned breakfast which it seems they took pride over. We were shocked to begin with but the people and position won us over! I should begin by memtioning that I stayed when Wales were playing football, so that may have affected the price. I paid £120 for one night! The two positives were the central location and a friendly receptionist. The rest was very disappointing, probably the type of place where you'd be happy to pay £45 a night. The whole place a dated and in real need to a refurb. No lifts. Rickety old staircase. The room was very small and a dreadful old sash window. The list goes on! Just like some thing from the 1980s really. All fine if I had not paid such a lot of money to stay there. The hotel has obviously made some changes over the years and left evidence of the hat it looked like before. But the bed was super comfy. The room was a good size and have everything we needed. Location for restaurants and bars was brilliant. Would stay again if visiting Cardiff again. We booked for 2 days, Had requested and got a back room (no view but quiet). Room (twin) was very small but clean and had a great shower. One bed was a king single other a single. Room was warm. Location was excellent in the centre of town. Reception staff were great, let us in early, always at desk and helpful with suggestions. Is a good hotel if you literally want somewhere to sleep while exploring Cardiff. We travelled up for a visit to my son at Cardiff Uni. The hotel is planted in amongst the city pubs and eateries, so is great if you're on foot. We have elderly parents with mobility considerations, so the location was ideal. Rooms and bedding are clean. Staff are very helpful. Decor is dated, and furniture looks a little tired, but for the price we were happy to compromise on aesthetics. 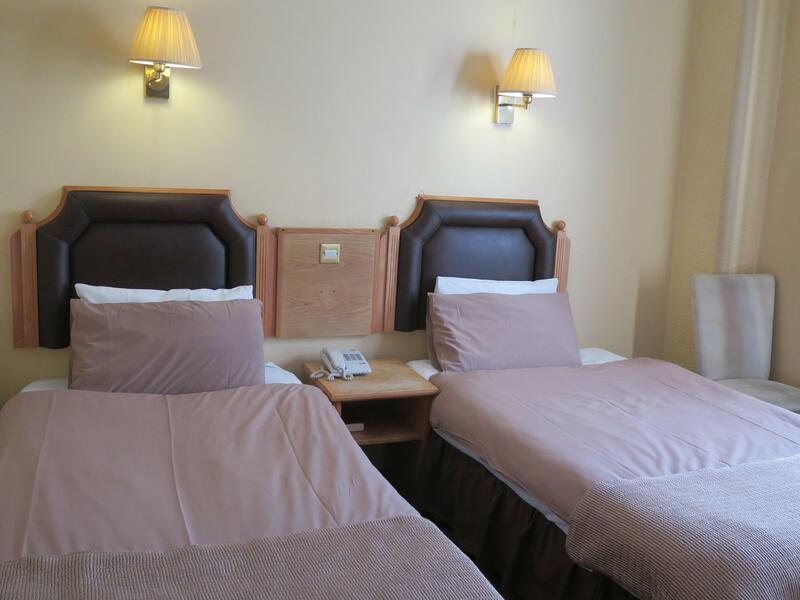 The beds are comfy, and night noise is minimal - even in rooms facing the street, which is pedestrianised. Breakfast is very reasonably priced - tea, coffee, juice, cereals, and toast are on a help-yourself basis, plus you get a choice of variations of cooked breakfast, including full-English, which are waitress-served. There is a subsidised parking deal available operated in conjunction with the near-by NCP carpark (2 minutes walk away) that reduces the eye-watering £21/24hr normal charge to a relatively digestable £9 - An excellent price for premium city centre parking. All in all a very enjoyable stay. We will definitely return to this hotel when we visit Cardiff again. สถานีรถไฟ Cardiff Central - ระยะ 0.44 กม.